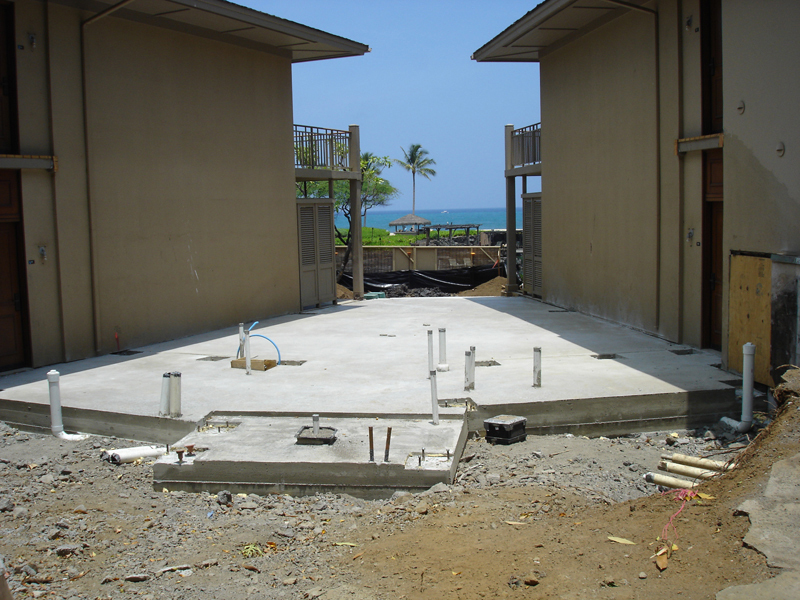 Project: The Bridge Suites, 2009, Four Seasons Resort Hualalai, Hawaii. 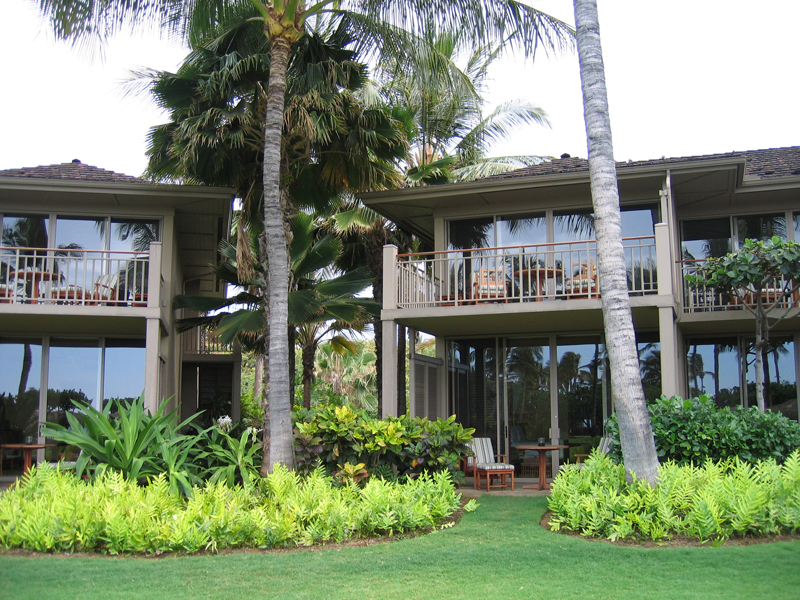 The Bridge Suites, Four Seasons Resort Hualalai addition spans the space between 2-existing guest bungalow buildings at both the lower and upper floors at 10-locations or 20-suites. The suites were joined to the existing guest room on one side, and double communicating doors on the other side when guests require a double suite. All 10-locations were unique configurations. The structure consisted of concrete slab on grade with steel columns and beams supporting a composite suspended second floor slab, steel stud wall framing and wood roof trusses. Resort ownership and management were pro-active throughout the design phase. To minimize the construction impact on resort operation, the work was accomplished in a 4-phase fast-track schedule. Collaborators included John Hill / HKS Hill Glazier Studio; Michael Booth, Janet Mercier / BAMO. Consultants included Peter Dahlberg / Civil Engineers; Bill Blakeney / Blakeney Structural Engineers; Mark Morrison / Morrison Mechanical Engineers; Wally Oki / Wallace T Oki Electrical Engineers; Richard Sinner / Specifications West; Dave Walsh / Walsh Norris Acoustical Engineers. The Contractor was Ledcor Construction.